Exclusive invitations to join an elite club of WhatsApp Gold users are being sent out in bulk to users of WhatsApp, or so it seems according to several reports that surfaced online yesterday. The update to WhatsApp Gold grants you the video chats feature, the ability to send more than 100 images in a go, and, OMG, an option to delete a message you already sent. The WhatsApp Gold features sound lucrative enough to hit that download link, but wait. Doesn’t it sound too good to be true? Yes, it does, and perhaps because it is fake. There is no such thing as WhatsApp Gold, at least from the official maker of the app. Allegedly, Hollywood stars are using the gold edition, and like to keep the club behind the walled garden of the general plebs, so to speak. 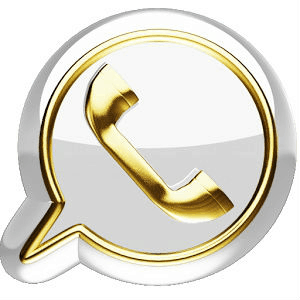 While the bait uses all possible emotional triggers (cool features, an opportunity to use something exclusive only A-listers use), you should be well prepared by now to counter any WhatsApp malware attack there is. Because, honestly, ever since the app went viral it’s been haunted by all sorts of scams. However, there is no such exclusive update, and if you see this message, delete it immediately and block the sender. If you install the fake update you may either be downloading a malware that will wreck havoc on your device, possible hijacking your accounts, or worse. Or, you could lose all you WhatsApp data, like chat history and media files, if they are not synced and backup up to your Google Drive. According to the reports, the malware seems to be targeting Android as of now. If, by any chance, you bought the bait, uninstall it immediately and install the official WhatsApp app either from Google Play, iTunes or official WhatsApp website that offers free download of the app without the Google Play or iTunes account, directly from your browser. You would also want to install an antivirus app and scan your device for malware. You could also perform a factory reset, if you are very concerned about the potential data leak the fake WhatsApp Gold could cause. We also advise all Android users to install firewall apps that let you control which apps can access the Web and when. Stay tuned to PocketMeta for more iOS and Android news, guides and how-to’s, handpicked roundups, and apps and games reviews!